Tiny living: Simple enough to be happy. Located in the heart of southern New Jersey, Big B's Tiny Homes builds luxurious tiny living spaces that display professionalism and craftsmanship. Catered to our client's specific dreams, our NOAH certified homes provide simple living at its finest. Our goal is to turn your big dreams into a tiny reality. Don't live in New Jersey or the surrounding area? No problem! We ship our homes nationwide. 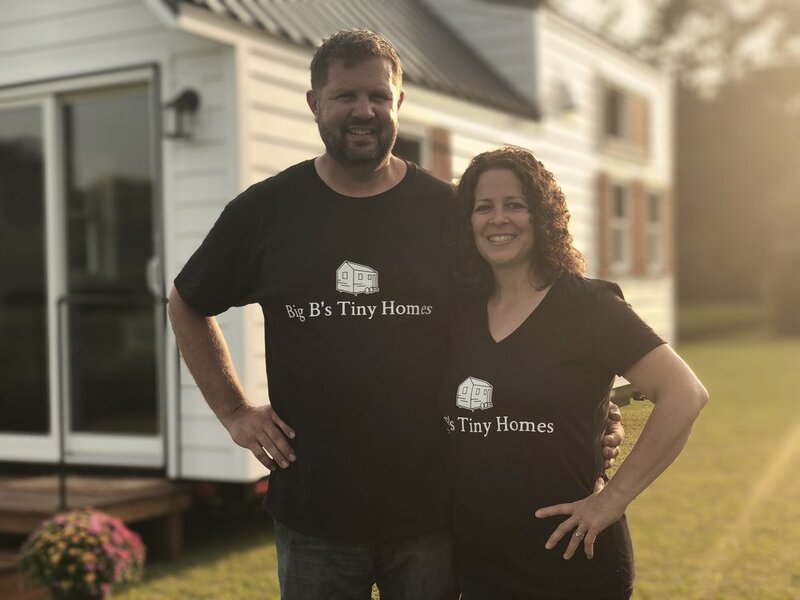 Over twenty-five years ago, owner and founder of Big B's Tiny Homes, Bernie Simkins, dreamed of creating a quality product that could be made in one central location. The idea behind this vision was to develop a meaningful product that places an emphasis on premium craftsmanship and comfortable living. At the time, Bernie was unsure of how he would specifically execute his dream. However, after spending decades of building, designing, and constructing new homes, additions, and remodels, at the end of 2017, Bernie decided to pursue his dream by building his first tiny home. Bernie is the visionary behind the innovative structural designs and craftsmanship. His wife, Tammy, partners with her husband in executing the premium, customized tiny living spaces through her keen eye of home design and decor. The couple's desire is to develop a relationship with their clients that executes a specialized touch in each design. Each tiny home is created to cater to the individual client's dream. Whether your desire is to create your ideal vacation home or a permanent living space, your tiny living dream can become a reality. In other words, you dream it. They'll build it! The Big B's team is eager to help you on your journey to tiny living. Whether your desire is to downsize your life and retreat to a slower pace, or if your dream is to find adventure in the lush mountains or at a relaxing beach vacation spot, tiny living offers comfort and simplicity within a deluxe space. Are you ready for your tiny dreams to become a big reality? The team can't wait to help you begin your adventure!